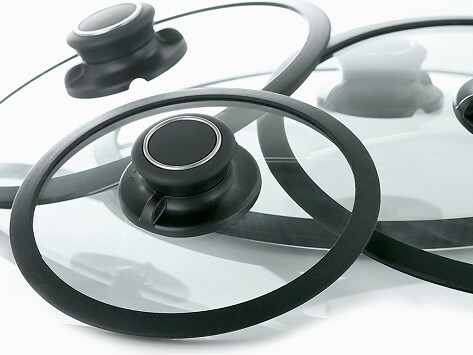 Black Cube Lids are made of high quality tempered glass with a silicone rim and an adjustable venting knob. Fits any 8", 9.5", or 11" cookware. Dimensions: 8" Lid: 8.5" x 8.5" x 2"; 9.5" Lid: 10" x 10" x 2"; 11" Lid: 11.5" x 11.5" x 2"
Weights: 8" Lid: 1 lb. ; 9 1/2" Lid: 1.1 lbs. ; 11" Lid: 2 lbs. I use these with my black cube frying pan to cook a friend egg without turning it over. The glass allows me to see when my egg is perfect. It's a lid...does what it was meant to do. These lids are great and keep the splattering/mess of cooking something contained within the pan. Love them! Hats off to the lids. Non-stick pans are so easy to clean, but stainless steel browns meat and other foods easily and is safe to use with metal utensils. Now Black Cube provides the best of both worlds—stainless steel and non-stick in a single pan. Black Cube is the world’s first combination of stainless steel and non-stick cookware. It browns, cooks, and lasts like stainless (you can even use metal utensils on it), but food releases right off of it like non-stick. And it cleans up like non-stick does, too. Named after the raised stainless steel pattern on its surface, Black Cube is the first cookware of its kind. It’s no surprise it won an Innovation Award at 2015’s International Home and Housewares show. Another great thing about Black Cube: it’s PFOA-free cookware. 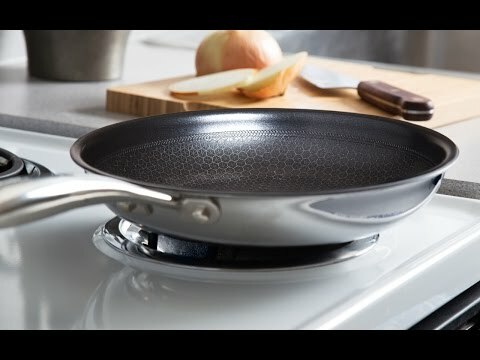 Normally, Teflon is made with PFOA, but the EPA considers it a pollutant and has asked pan manufacturers to stop using it. Black Cube took it a step further, creating non-stick without PFOA and then making it as good as stainless steel. The center layer of aluminum allows for better heat distribution and even cooking. And Black Cube is safe in the dishwasher and oven up to 450°F. No more need to have two kinds of pans or to watch what utensils you use in which pan. Black Cube is ready to tackle any recipe.